Love the cheaper price AND that the cartridges are reused and refilled instead of newly manufactured. Zero issues when using in my printer. I will buy here again. Great ink product that comes at good price. I love that you get a deal for purchasing more product at one time. I have been satisfied in the past. I like the choice of products available Fast mail service I would recommend this to my daughters. It works just like one from the manufacturer, at half the cost. I've printed about 10 pages so far, all came out great. Can't really speak to how many pages it will print. I have bought these cartridges a few times. The print quality is great, the price is great. These are for an HP Deskjet printer. I have no complaints and just ordered more today. Good product! Thank you for your service! Great Product for price. A huge bargain over the original ink. I have ordered from InkTechnologies for over ten years for my various jobs, and my home. I use two different printers. The print quality has always been outstanding for both. My cartridges always arrive on time. This is truly a great company to work with! Cartridge works great and was a fantastic deal! Compared to other companies, I end up coming back to Ink Technologies for the best savings. This was my first time to order from Ink Technologies and I've made two more orders since! Great service, reasonable prices and an excellent product. Especially good value for my recent HP Office Jet 4650. Works equally as well as new ones. An occasional defective one (B/W or color) is replaced without question. Highy recommended. This ink cartridge is great if not better than HP. Highly recommend, great price! Have never had an issue with printer recognizing the cartridges. Delivered in a couple days. Product is as advertised. Works great in my printer. Would buy again when needed. Fast delivery. Local company. Works as well as HP original. Will continue to use this one. I was very sceptical since this is not the manufacturer's "genuine" product, but if it looks the same, works the same, and lasts just as long. A perfect replacement at 1/3 the cost! Works very well... my printer can't tell a difference. No problems with the ink not being name brand. 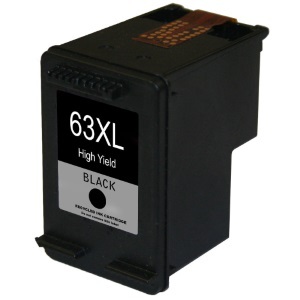 Great ink cartridges. I order all the time for home use...prints just like originals and saves $$. A lot cheaper than anywhere else I could buy it! Works just as good.